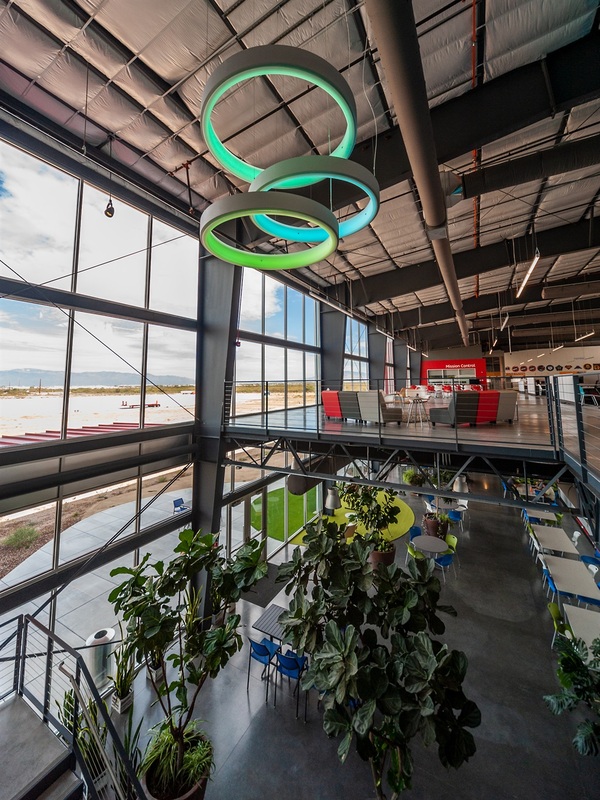 Inside World View's campus in Tucson, Arizona. About 1,900 active satellites are orbiting Earth as you read this sentence. That may seem like a lot of stuff in the sky, but more than twice as many aircraft soar overhead at any given moment, adding up to tens of millions of commercial flights per year. The reason we don't launch more commercial satellites to watch the environment, speed up the internet, or gather military intelligence is because getting to space is expensive. Very expensive. 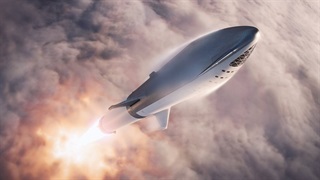 Elon Musk's aerospace company, SpaceX, is slashing prices with reusable rocket technologies (and Jeff Bezos' competitor, Blue Origin, is not far behind), but those discount launches still cost tens of millions of dollars. 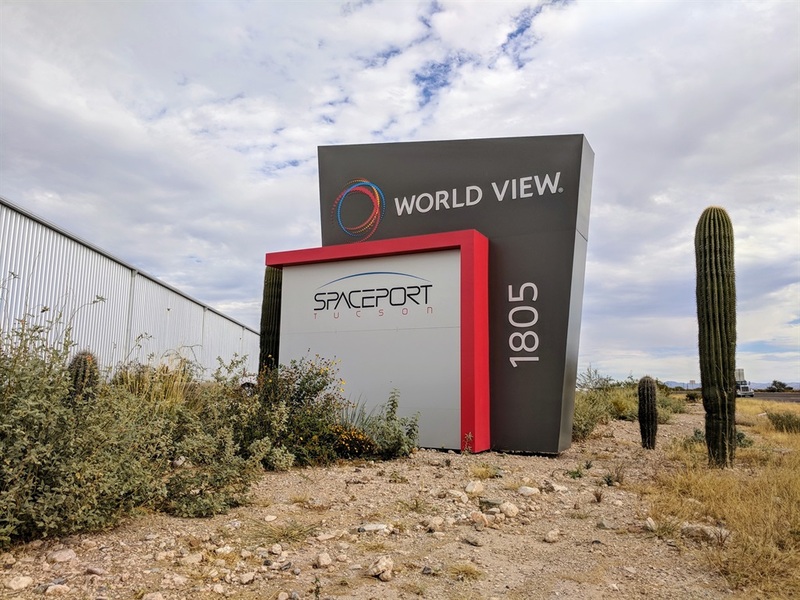 World View Enterprises in Tucson, Arizona, thinks satellite-like capabilities can be achieved at a fraction of the cost. 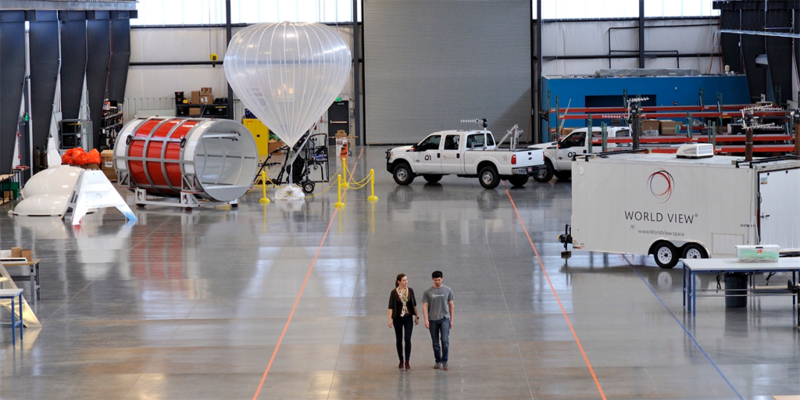 Their big idea: use giant autonomous balloons that operate in a world between spacecraft and aircraft. 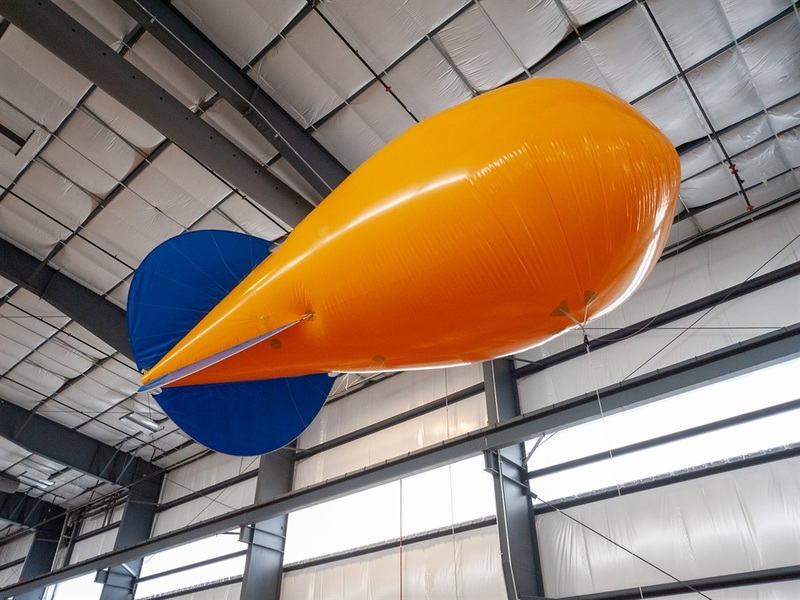 The six-year-old company is developing and launching pyramid-shaped platforms called Stratollites that dangle from the end of high-altitude balloons. 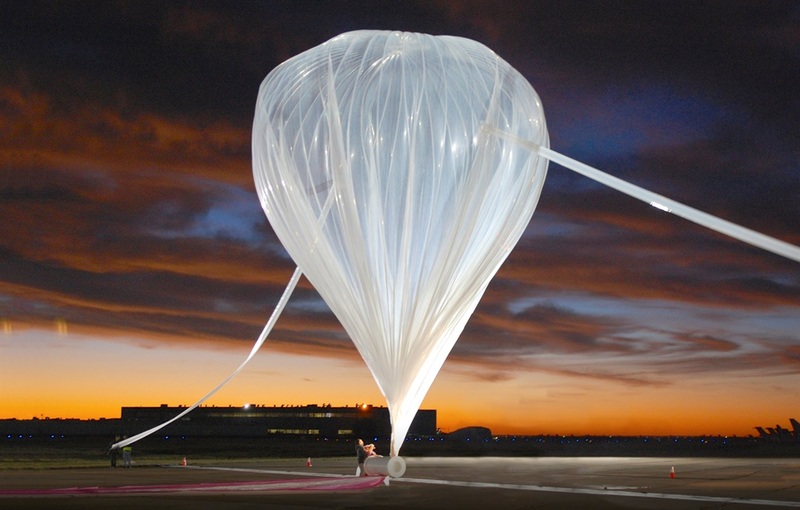 These balloons soar to about 32 kilometres high and exploit high-altitude winds to stay put or move. "It's going to change everything," Ron Garan, a retired NASA astronaut and fighter pilot who works for World View, told Business Insider. 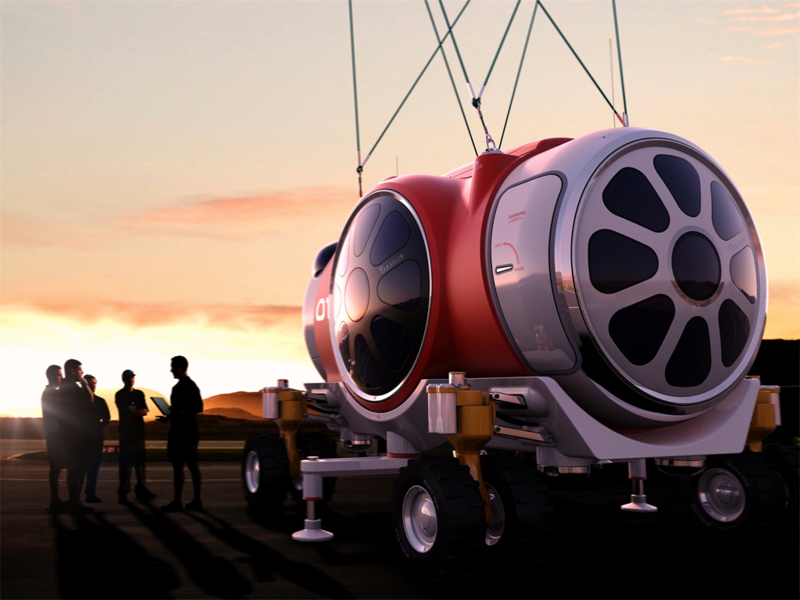 "Think about what you can do with a 4,500kg or a 450kg payload platform that's hovering over a city or a natural disaster for months at a time." 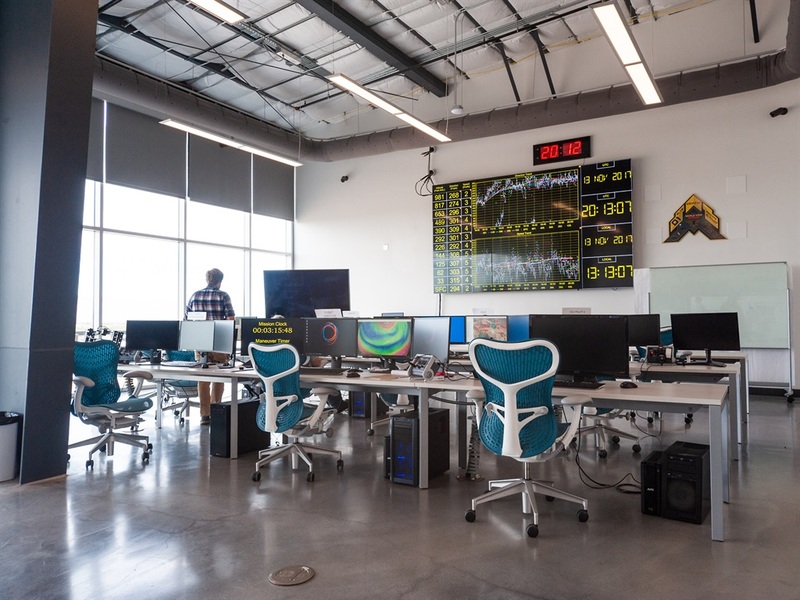 Garan and others recently toured us around World View's global headquarters in Tucson, Arizona, which is a 13,000 metres square campus complete with a balloon factory, spaceport, mission control centre, and more. 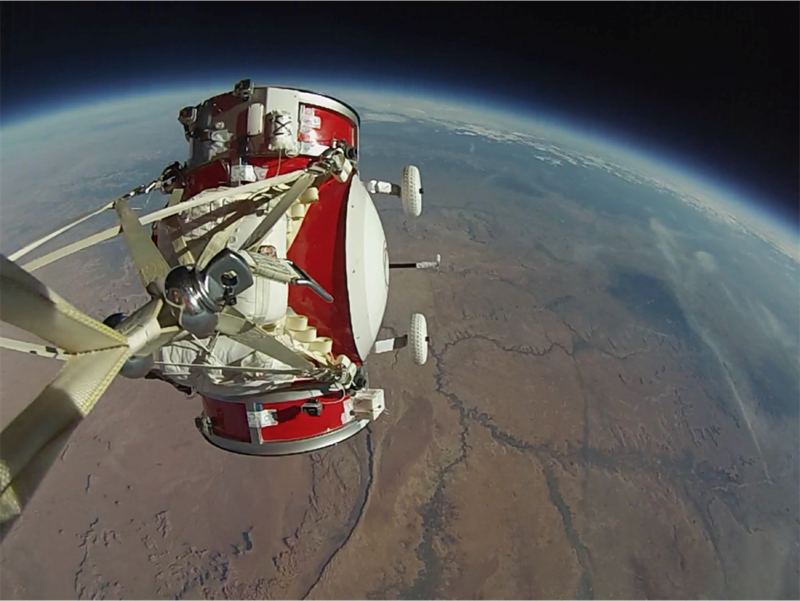 Here's what it's like inside World View, and how the company is working to not only disrupt a big chunk of the satellite industry, but also give tourists a taste of what it's like in space. 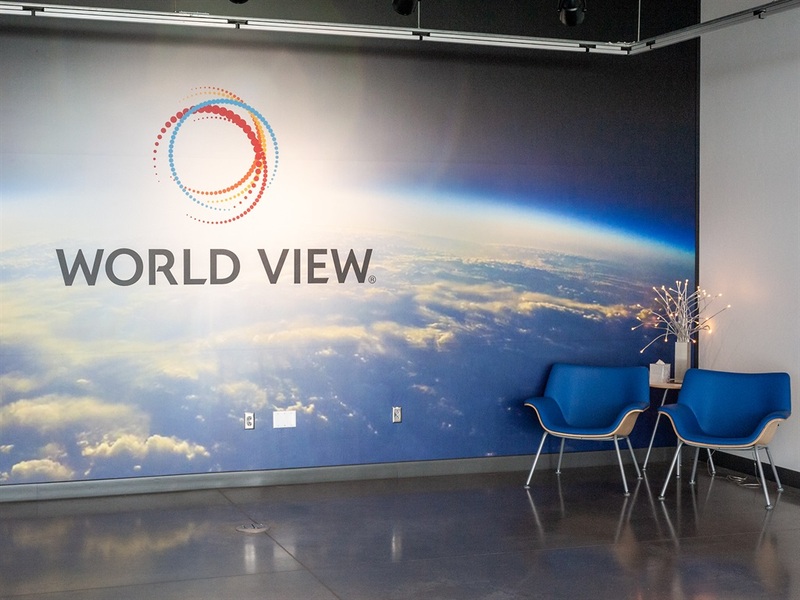 World View opened its global headquarters in February 2017. The campus is located amid the desert scrub of Tucson, Arizona, just a mile south of the city's international airport. 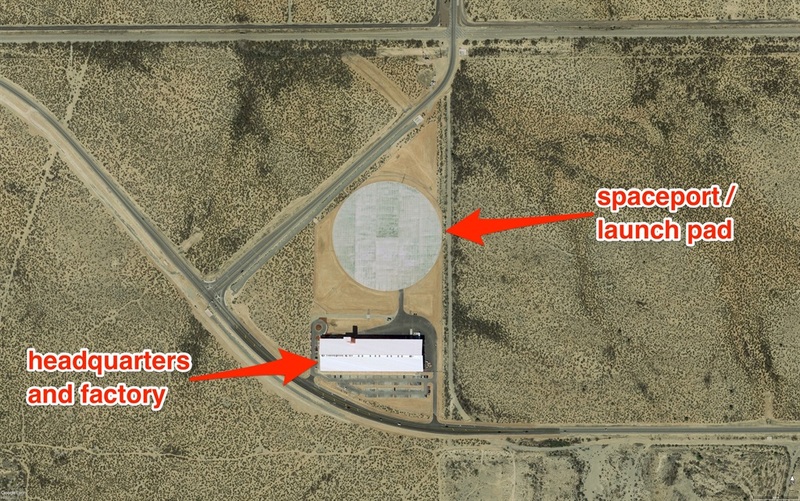 Right next door is the company's "spaceport," which is essentially a 213m-wide concrete slab. 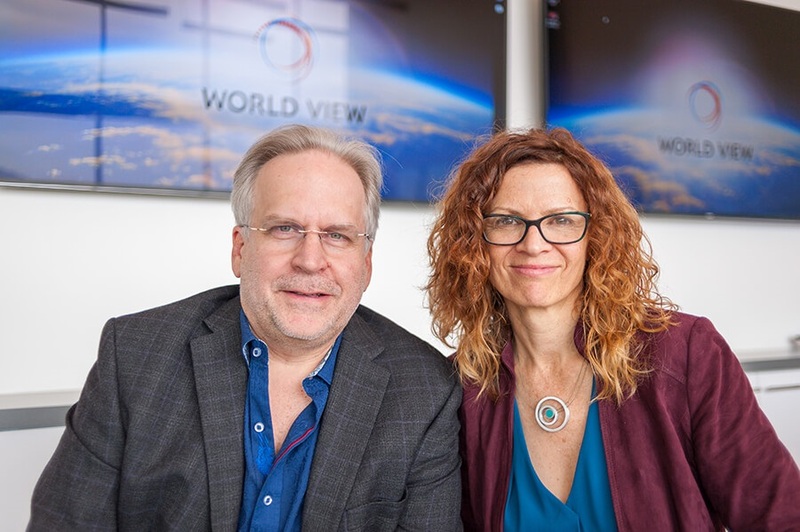 Taber MacCallum and Jane Poynter are a married couple who co-founded World View in 2012 with a planetary scientist and a NASA astronaut. 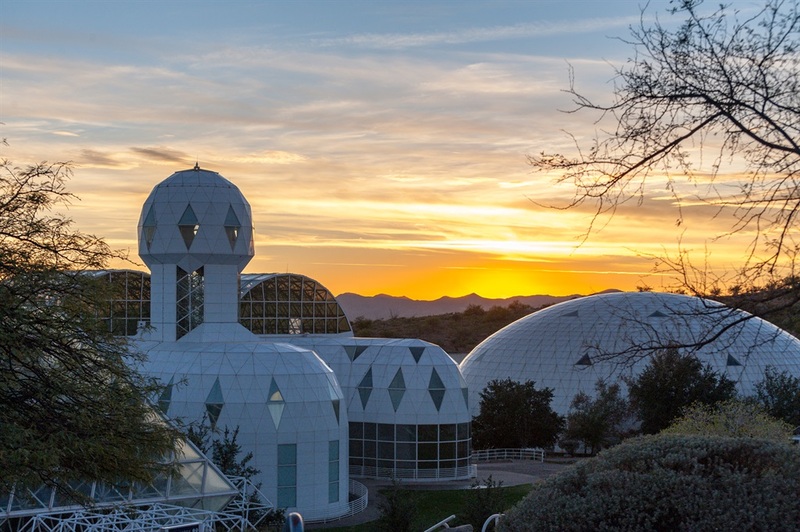 They're most famous for living inside Biosphere 2 — a giant space colonisation experiment in the Arizona desert — from 1991-1993. 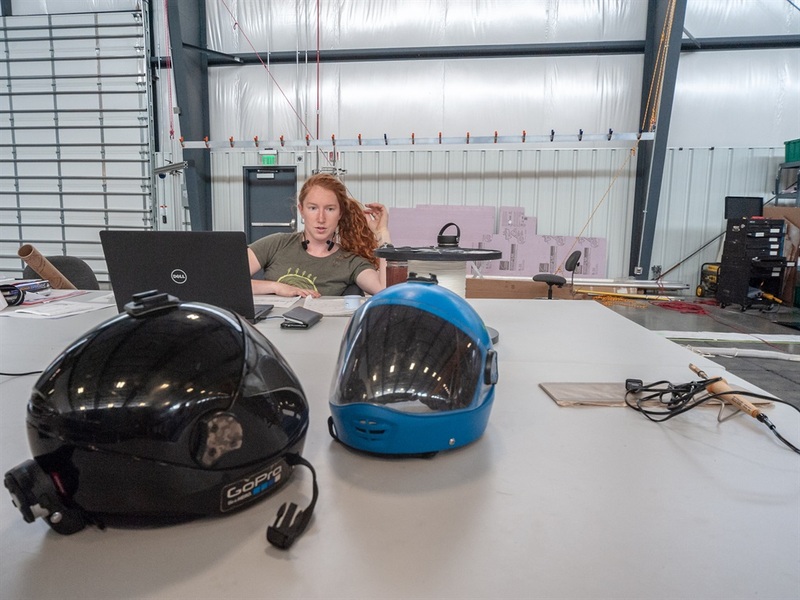 But their foray into the spaceflight industry began when they co-created Paragon Space Development Corporation: a company that makes life support systems for astronauts, divers, and more. World View got a notable start by working with Paragon on a mission called StratEx. 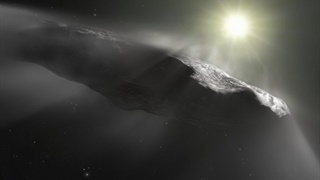 It was conceived of and paid for by Google executive Alan Eustace. The goal: Send Eustace into the stratosphere inside a spacesuit attached to the end of a balloon. On October 24, 2014, Eustace soared to 41,400m, detached from his balloon, and safely parachuted to the ground. 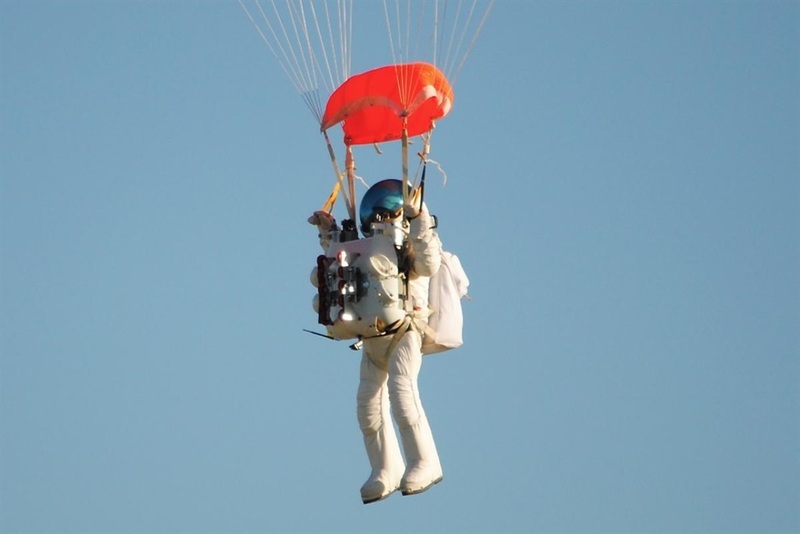 The mission broke Felix Baumgartner's April 2012 "space dive" record by more than 3,000m. 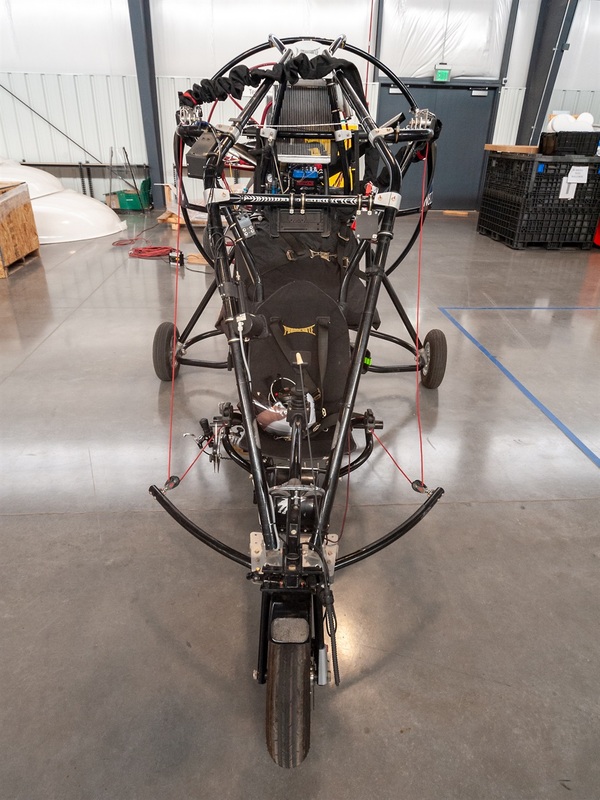 The stunt was also an impressive technology and operations demonstration that helped World View attract investments, including enough money to build its $15-million headquarters in Tucson. 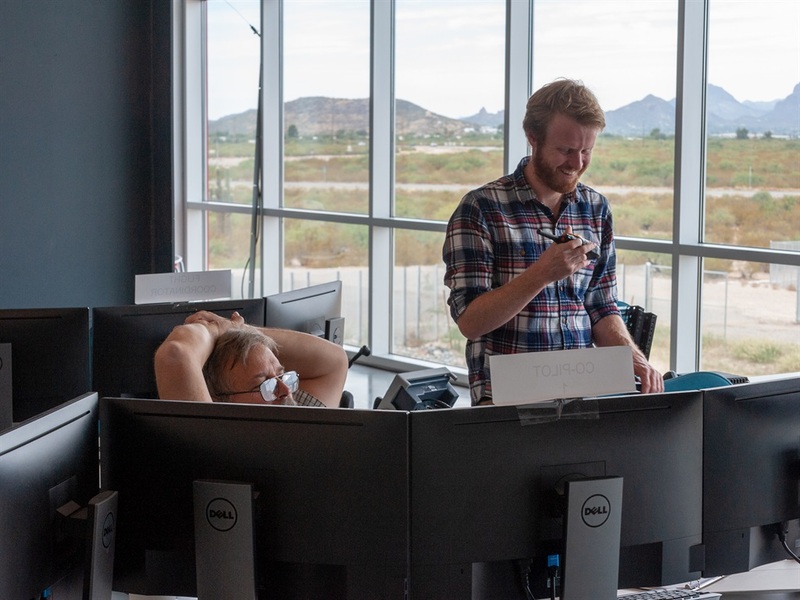 Summer temperatures in Arizona regularly reach exceed 37°C, but inside World View's headquarters, it's cool and comfortable. It's also enormous. 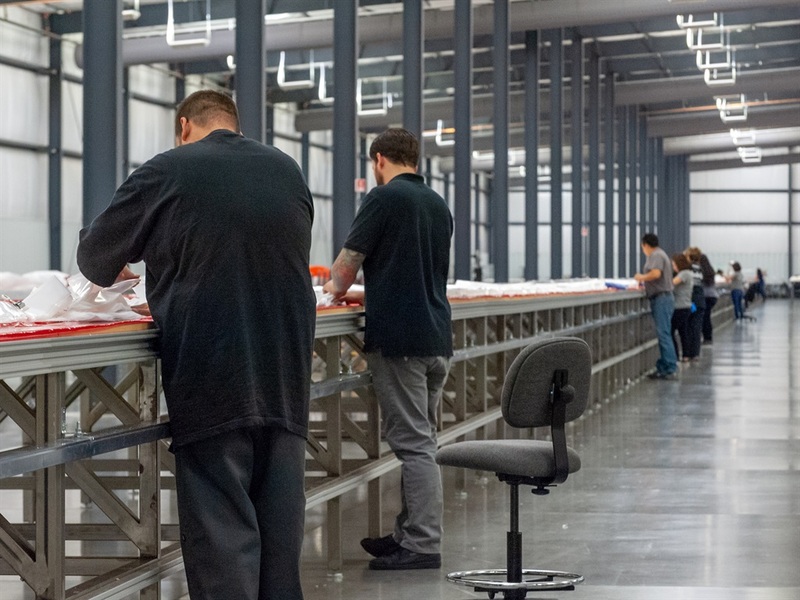 The facility is larger than two NFL-regulation football fields because workers need the room to hand-build skyscraper-size balloons. 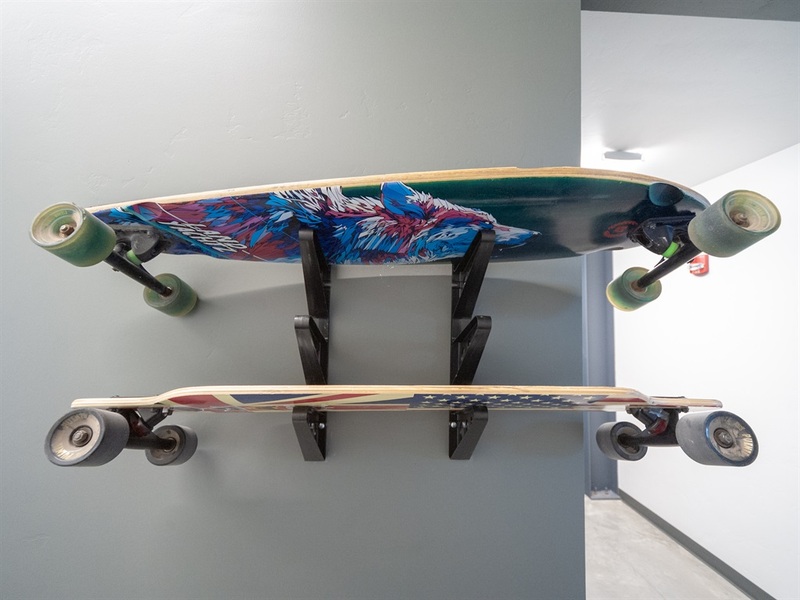 Getting around efficiently requires some creativity. 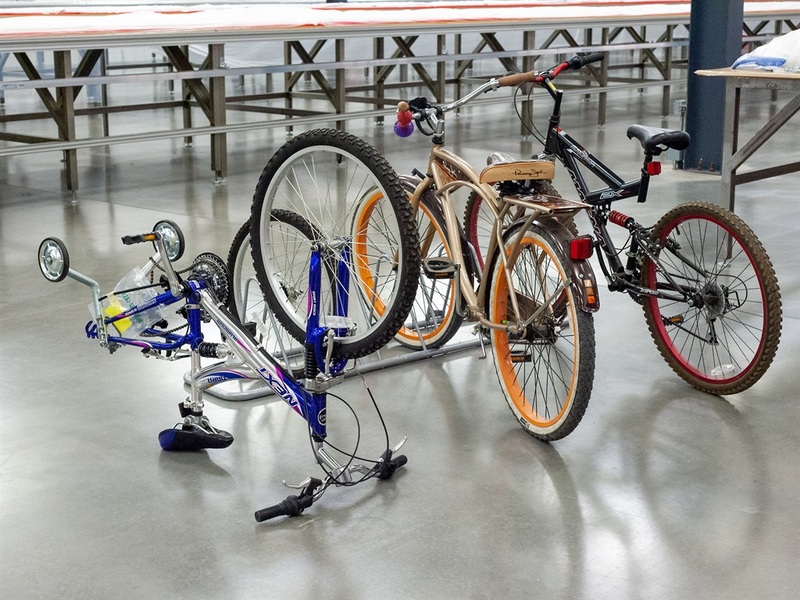 ...Others opt for more traditional sets of wheels. 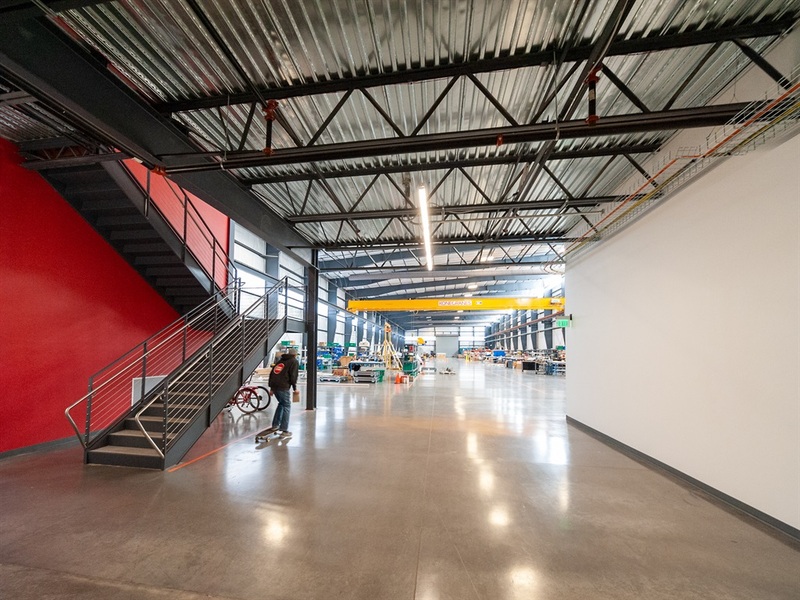 The company atmosphere might seem laid-back, but Garan said World View is working hard on technologies that will "vastly increase human knowledge of our planet and have tremendous commercial applications." 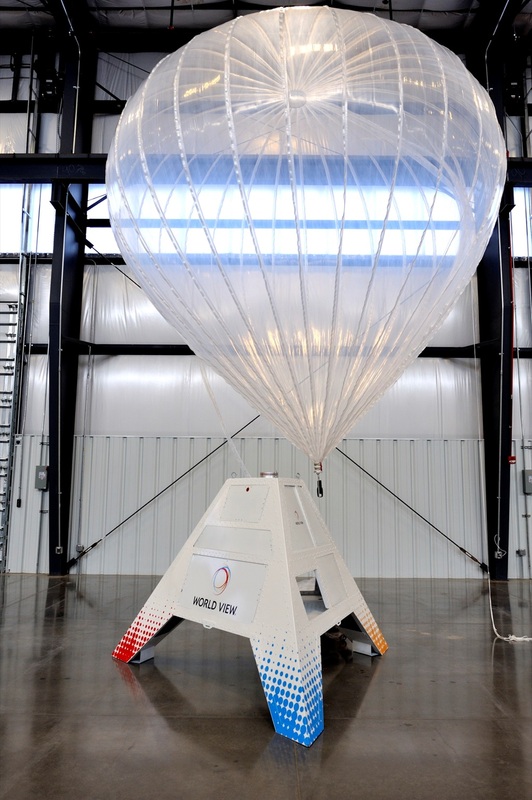 One of those key technologies is a pyramid-shaped balloon craft called a Stratollite. 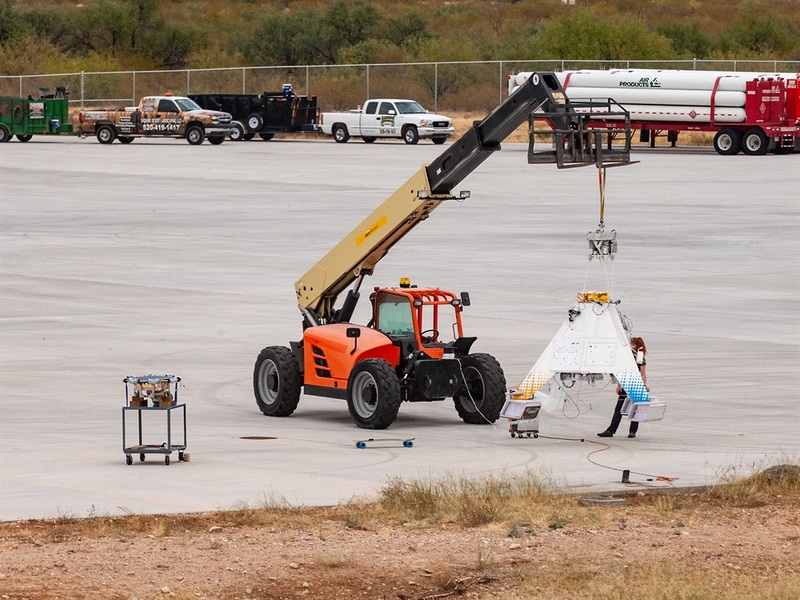 Like a satellite, the platform can be outfitted with hundreds of kilograms of gear — stuff like cameras, environmental sensors, location transponders, and communications equipment. 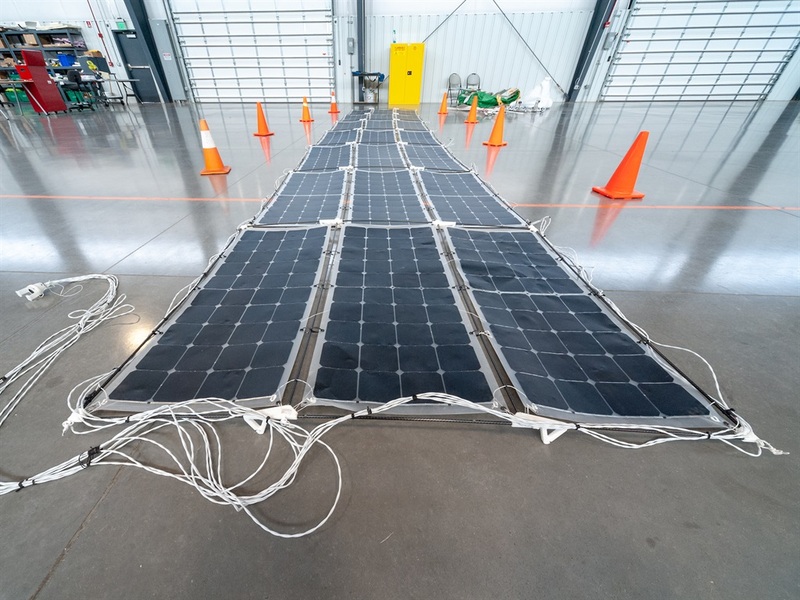 Towering arrays of solar cells connect to each Stratollite and power its electronics. A pointing motor orients the panels so they're always facing the sun, providing enough energy to keep missions aloft for days, and — in the future — for weeks or months. 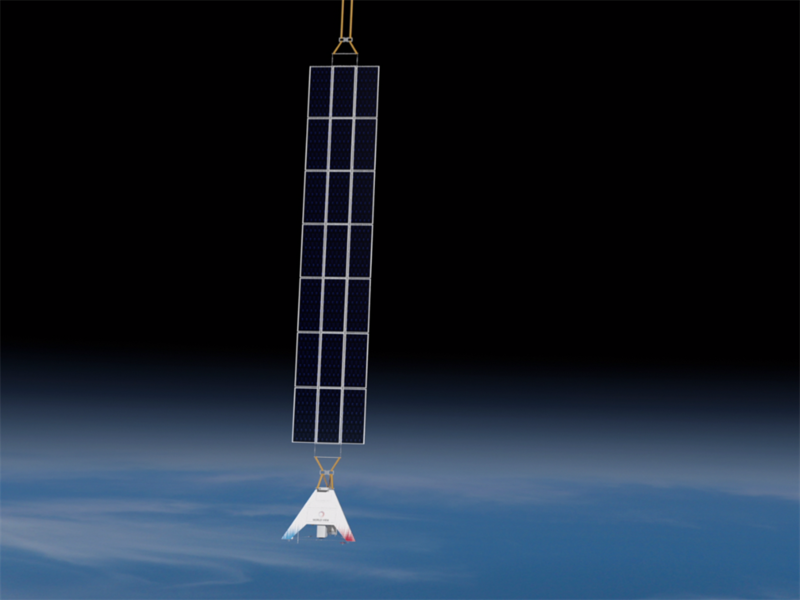 The solar panels dangle from the end of a high-altitude balloon, and the Stratollite dangles from the solar panels. A proprietary ballast system steers the balloon craft up and down to move into or out of prevailing wind streams. 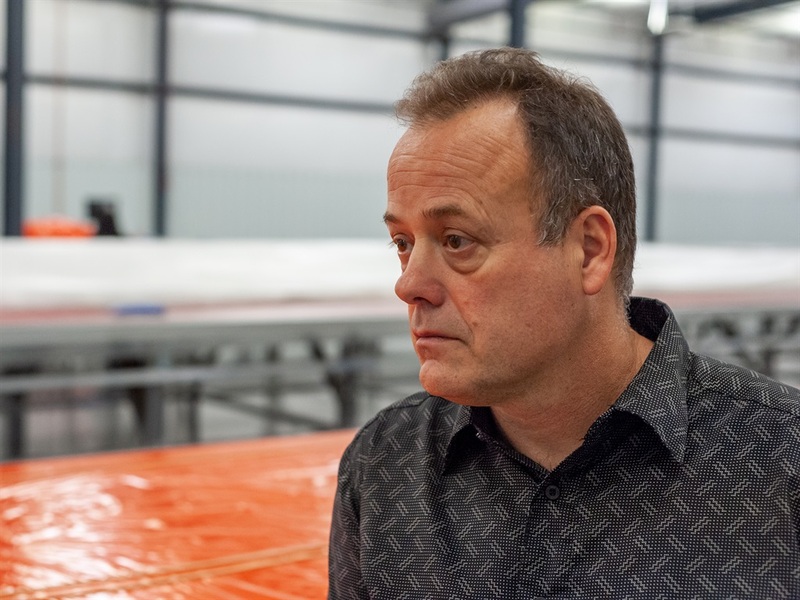 "If we want to go east, we just find the wind going to the east, and if we want to go west, we just change our altitude until we find one that runs to the west," Garan said. "That's how we stay over a particular part of the ground." 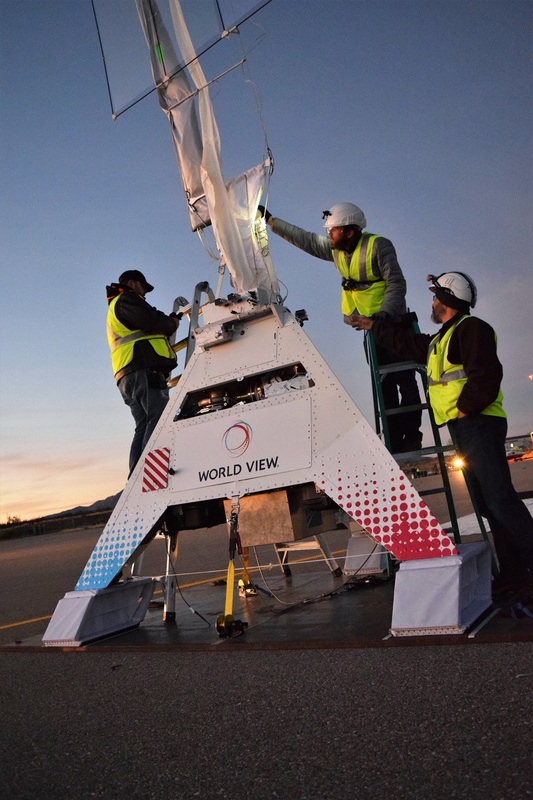 World View's current flight record is five days, but it hopes to complete a 30-plus-day hovering mission by early 2019. 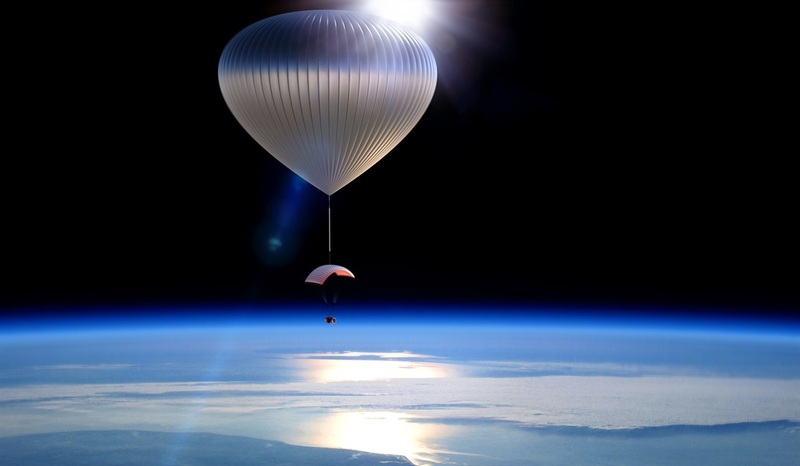 It would be a game-changing development, since the view from about 30,400m up can be as good or better than a view from space. "We're creating a new category of vehicle," Andrew Antonio, a spokesperson for World View, told Business Insider. "This thing can do what geostationary satellites can do, and it can do what low-Earth-orbit satellites can do, it can do what drones can do." Satellites orbit Earth from hundreds or thousands of miles away and cost hundreds of millions of dollars to design, build, launch, and operate. Autonomous drone flights are a closer-to-Earth option, but they can only operate for short amounts of time - and cost anywhere from $10,000 to $25,000 per hour. You can also make out the curvature of Earth from the stratosphere. The air is about 1% as dense as it is on the planet's surface, providing a clear look into space [though it's a blisteringly cold temperature]. 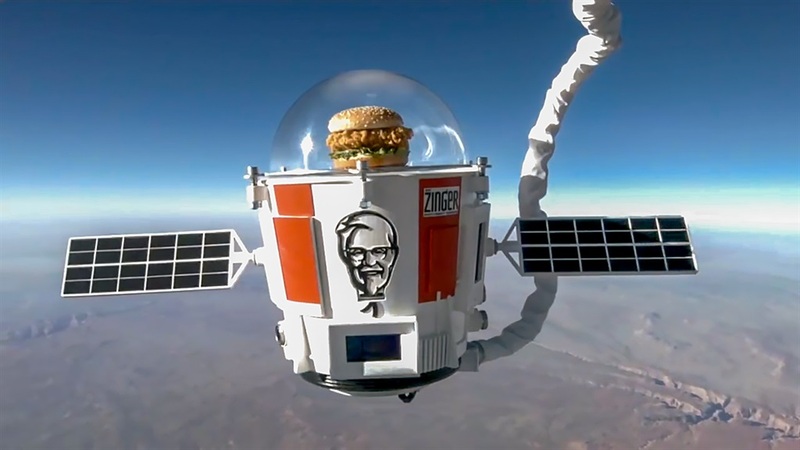 World View recently made headlines for launching a mission for KFC. 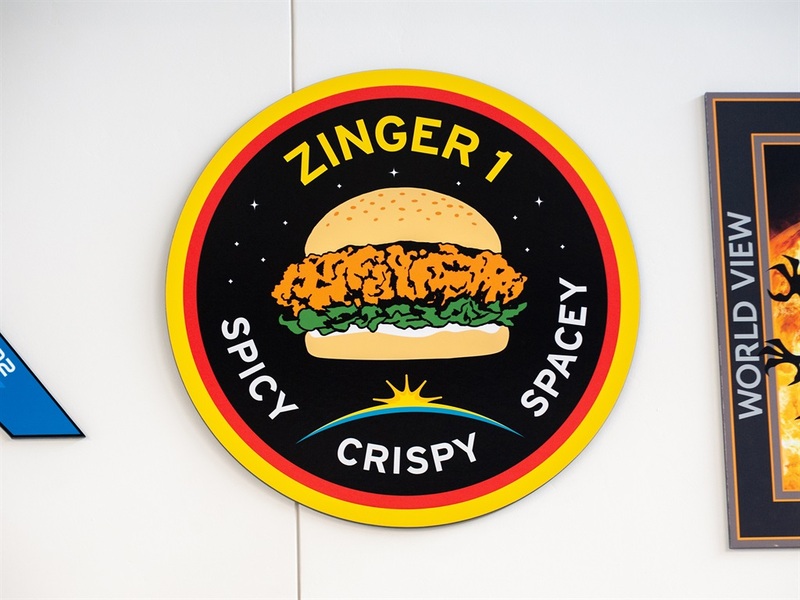 The food brand had a spicy Zinger chicken "space" sandwich sent up inside a pressurised capsule that resembled a bucket of chicken. 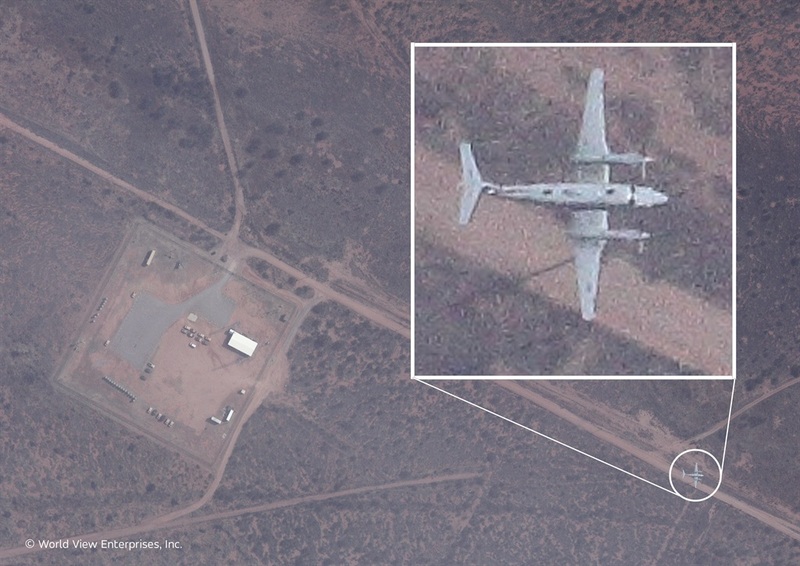 The sandwich was one of nine missions that World View pulled off in 2017. The company expects to do about a dozen in 2018, and perhaps 50 to 60 launches per year in the future. Commercial prices vary depending on the mission, but each costs on the order of several hundred thousand dollars. After a Stratollite mission ends, the craft detaches from its balloon, deploys a parafoil, and steers to soft landing. 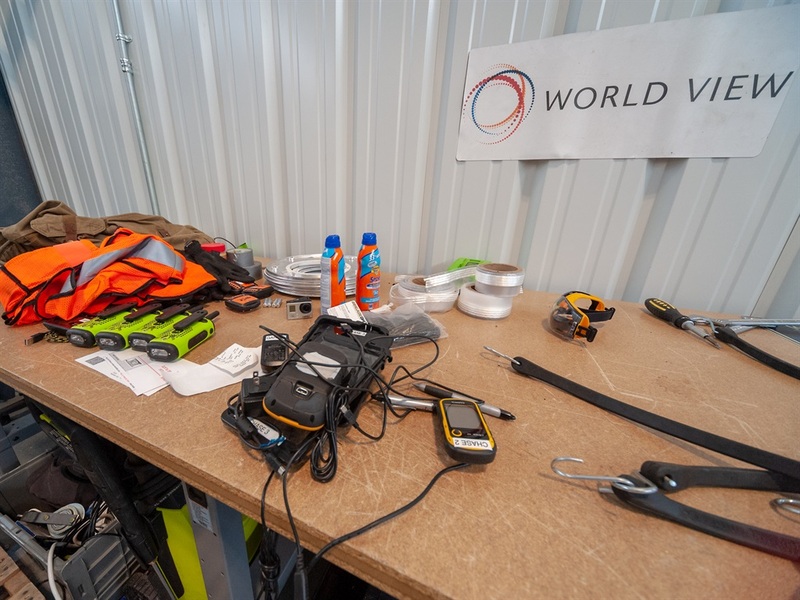 World View records vital flight data with each mission, helping improve its systems. Engineers use the flight data to tweak software that's designed to autonomously steer a Stratollite to a pinpoint landing. 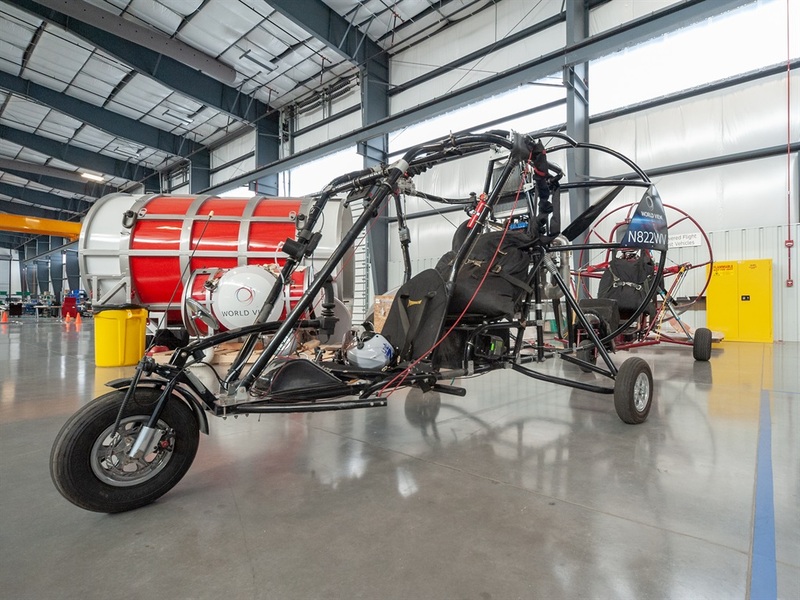 But since Stratollite launches are relatively expensive and rare — they happen about once a month — World View engineers' most frequent test-bed is a powered parachute vehicle, shown here. Garan pilots it into the air, then lets go of the controls. 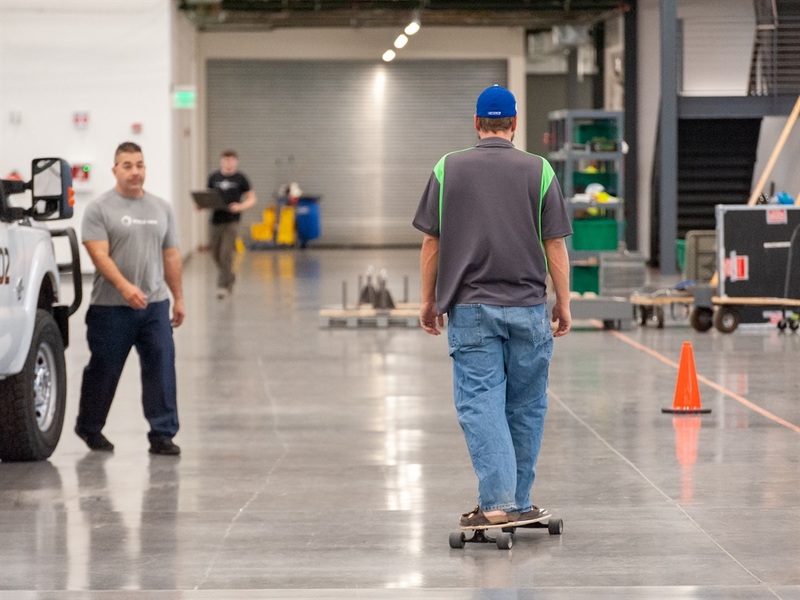 From there, engineers test the latest version of their self-landing software. "You need to make sure you're not laying down in some gully somewhere or power lines, or any other hazards," Garan said of autonomous Stratollites. 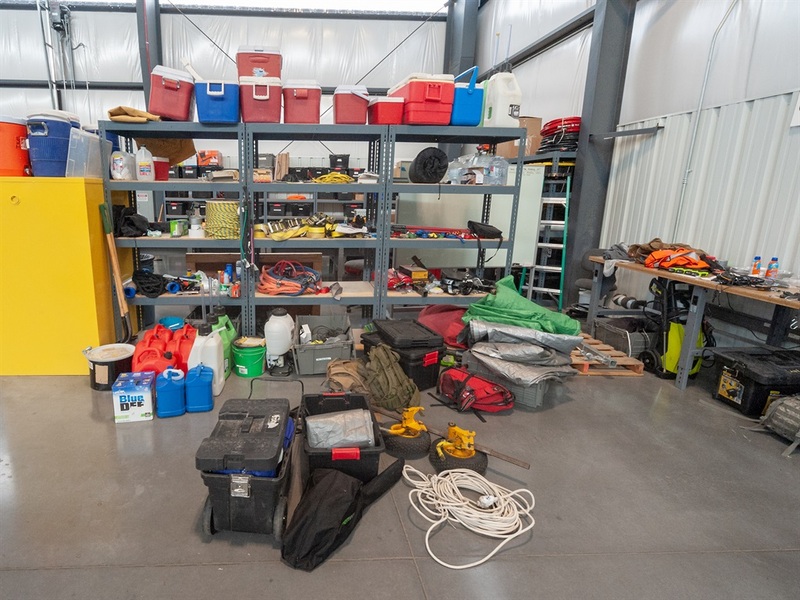 Recovering a Stratollite and its balloon in the unforgiving Arizona desert (sometimes in the dark, and with venomous spiders crawling around) requires a lot of equipment, from ropes and flashlights to fuel and water. Don't forget your sunscreen and walkie talkies. A mobile command centre helps crews locate balloons and Stratollites. 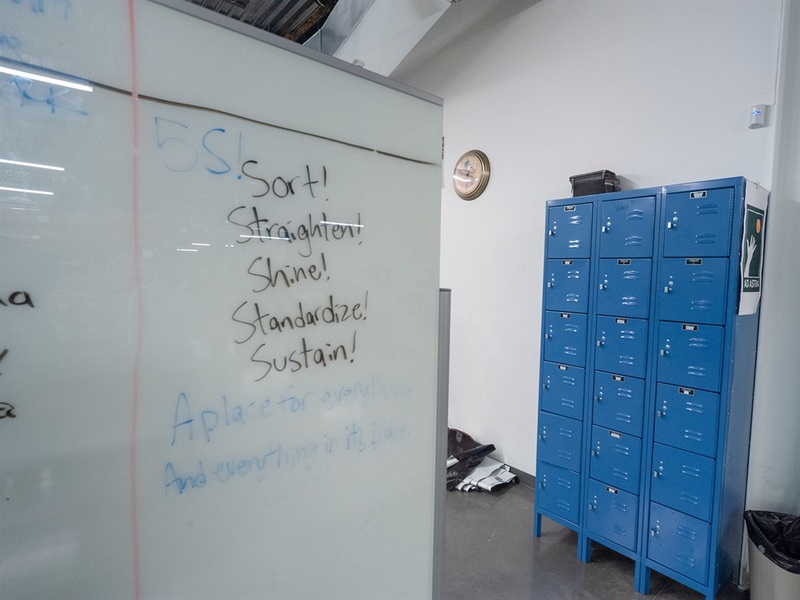 It's also used to help launch craft wherever a customer wants. 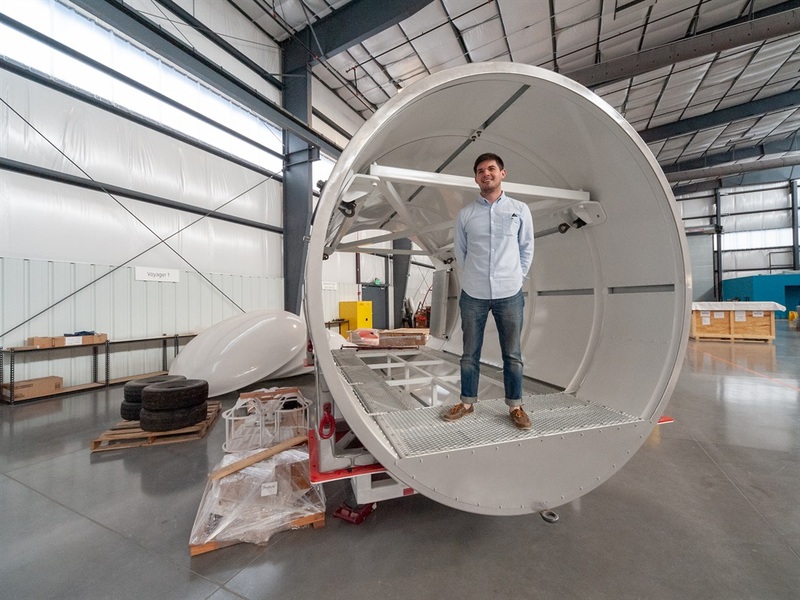 "Everything we need for an entire launch, if we want to go mobile, can fit into this trailer," Antonio said (minus the helium gas, which is stored in a semi-trailer-size tank). 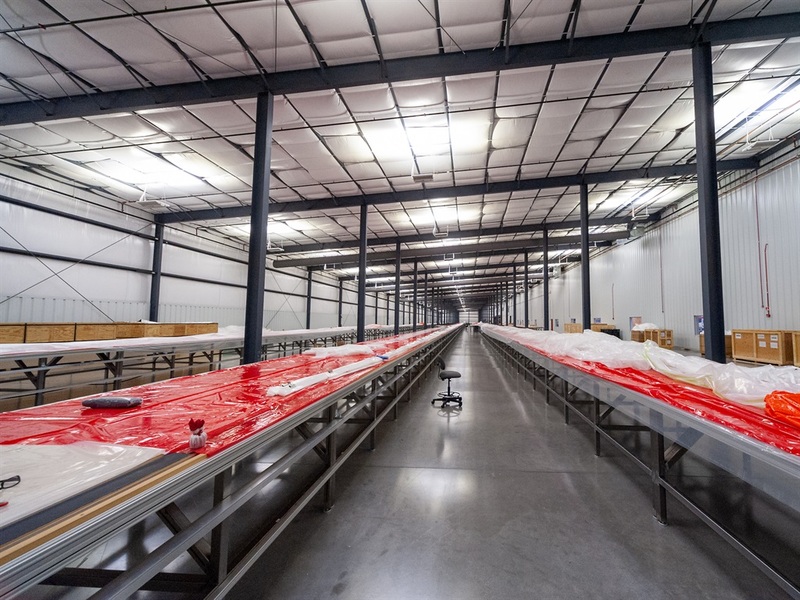 Around the corner is World View's seemingly endless balloon factory. 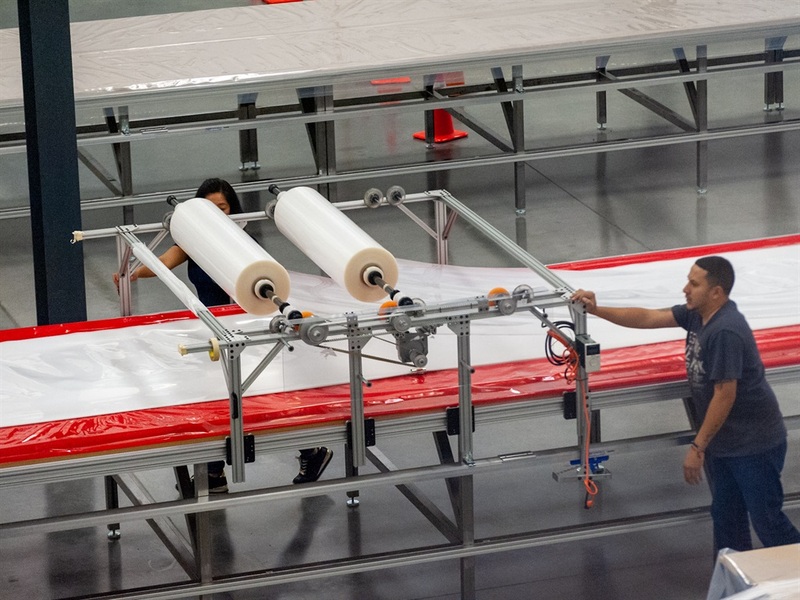 Each of the company's high-altitude balloons starts as a roll of polyethylene plastic. 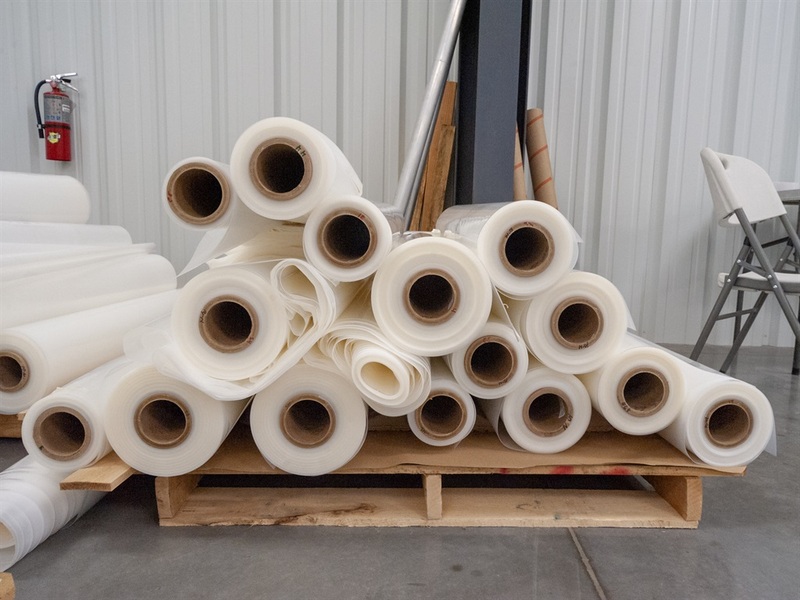 Depending on the altitude and length of a mission, different thicknesses are used. Balloon sizes also vary. Most are 140m tall while the largest stretch 150m. 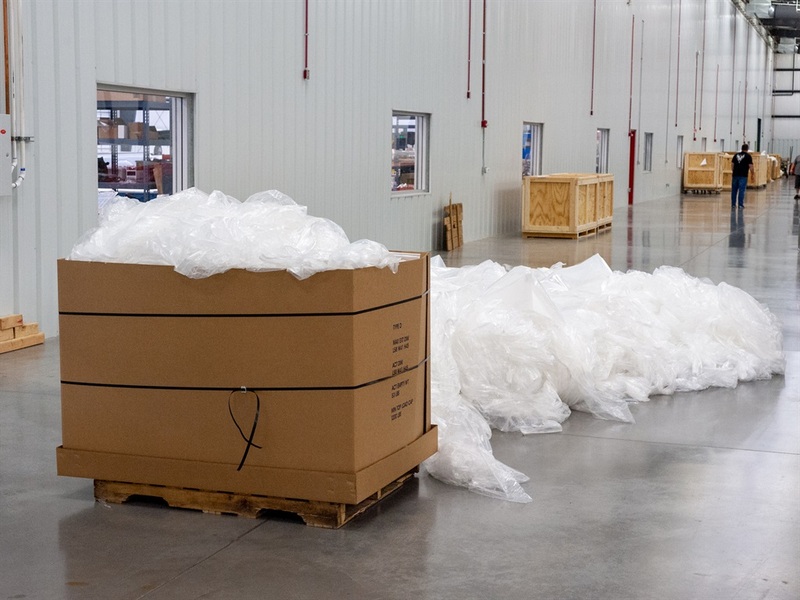 If you added up all of the plastic used in a single balloon, it'd be about 2,600 kilogram — the weight of two passenger cars or a small adult elephant. 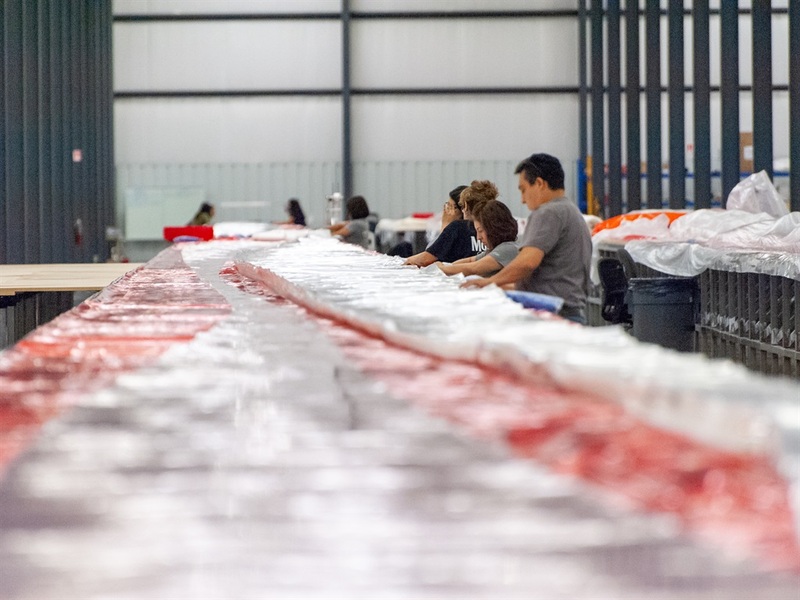 Assembling a balloon requires anywhere from 100 to 200 panels of plastic, which give the inflated dirigible its shape. Building balloons creates a lot of waste, but a local recycler picks up the scrap plastic. 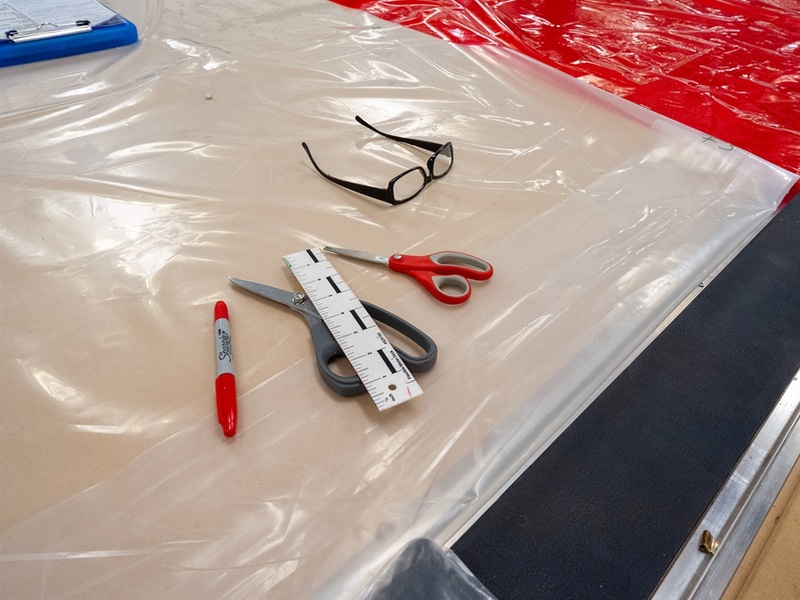 The most frequently used tools of the balloon-making trade are relatively low-tech, but some elements of the balloons are trade secrets. For example, a proprietary spooling machine (which we couldn't photograph) weaves fibres and heat-seals them in a strip of plastic. 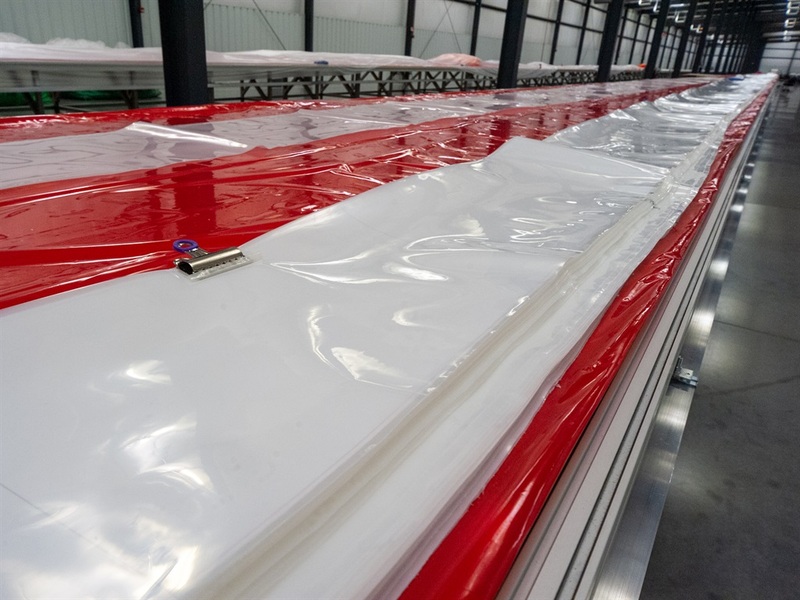 The finished strips give a balloon structural strength — and a way to attach Stratollites. A black strand of carbon-fibre makes the balloons visible to radar systems. "They'd be hard to see otherwise," Garan said. Assembling a giant balloon takes a lot of patience, practice, and teamwork, and each one has to be flawless. Workers are required to keep their fingernails short, for example, to reduce the chances of an accidental cut or puncture. Just one tiny hole can cause helium gas to escape, a balloon to descend sooner than it's supposed to, and ultimately compromise a mission. 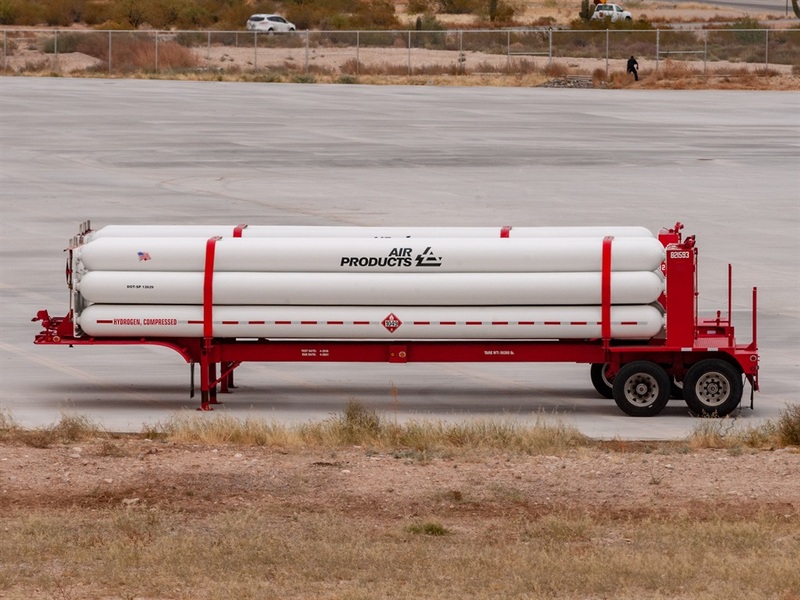 "The first time we fill it with gas is when we launch it," Garan said. 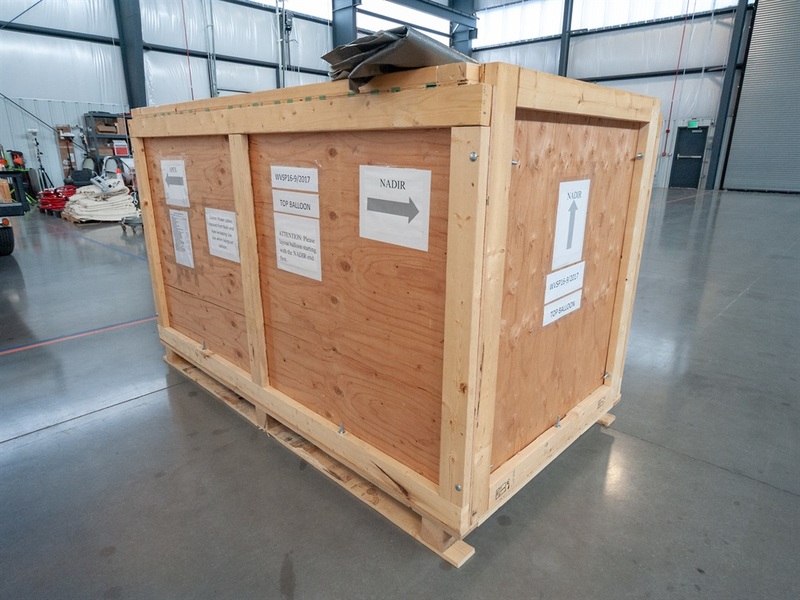 Finished balloons are sometimes sealed in crates so they can be taken anywhere in the world. 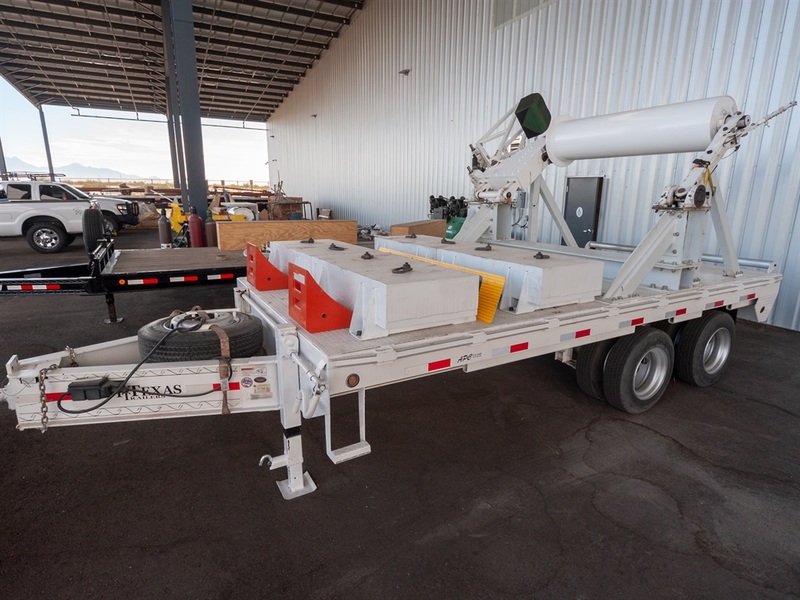 This is the spool trailer: an essential device for high-altitude balloon launches. About 25% of a balloon's length is unfurled and inflated, pulling up and against the roller (top right). 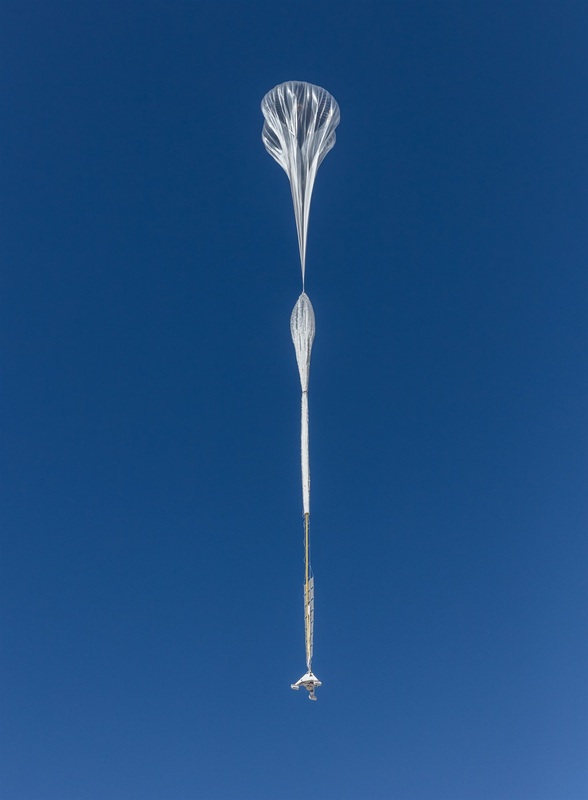 The lower 75% of the balloon is held back and released in a coordinated effort to ensure the payload doesn't skid, crash back to the ground, or fly into anyone or anything. The most common lift gas is helium. 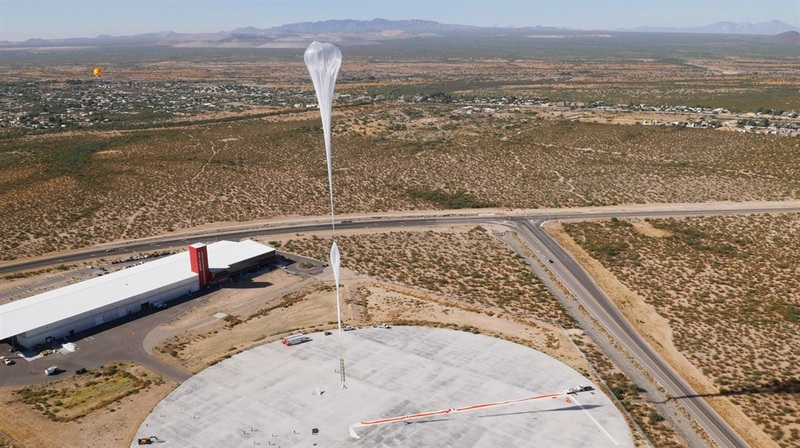 It's inert, so it won't ignite, and it's less dense than Earth's atmosphere — helping a balloon rise to the stratosphere like a bubble in water. But it can cost hundreds of thousands of dollars to fill one balloon. Hydrogen is a cheaper option, but it is extremely flammable. 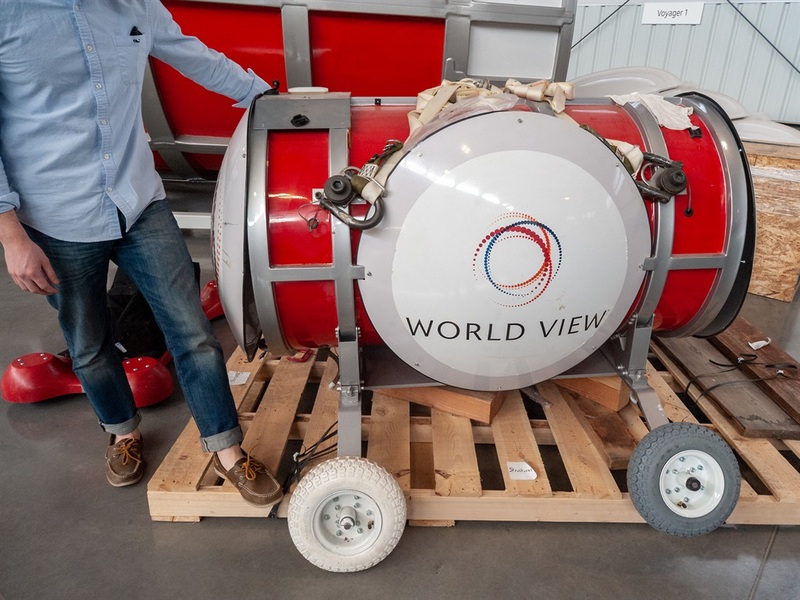 One month after Business Insider visited World View, a hydrogen balloon at the spaceport tore open as workers deflated it. Static electricity then sparked an explosion. The blast didn't hurt anyone, but it shattered windows, busted doors, and cracked walls at the nearby headquarters, causing about $475,000 in damage. "Although we came away from the incident with a good grasp of the cause and results, we chose to engage an independent review team of experts," Antonio told Business Insider in an email, adding that most new recommended safety measures "have already been implemented." From launch preparations through landing, World View's mission control centre buzzes with activity. Workers monitor screens that show altitude, temperature, wind velocity, and more to keep tabs on a mission. 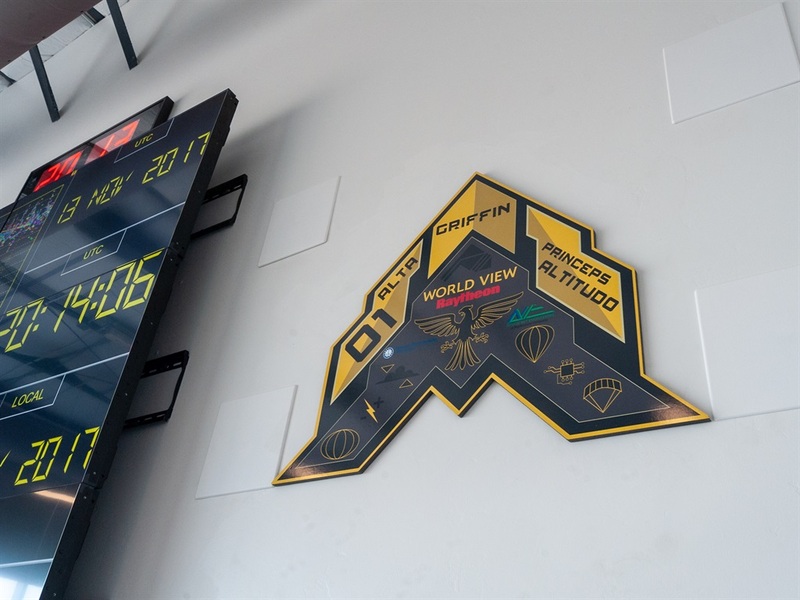 Patches that represent some of World View's 50-or-so missions to date adorn the walls, like the KFC sandwich launch. 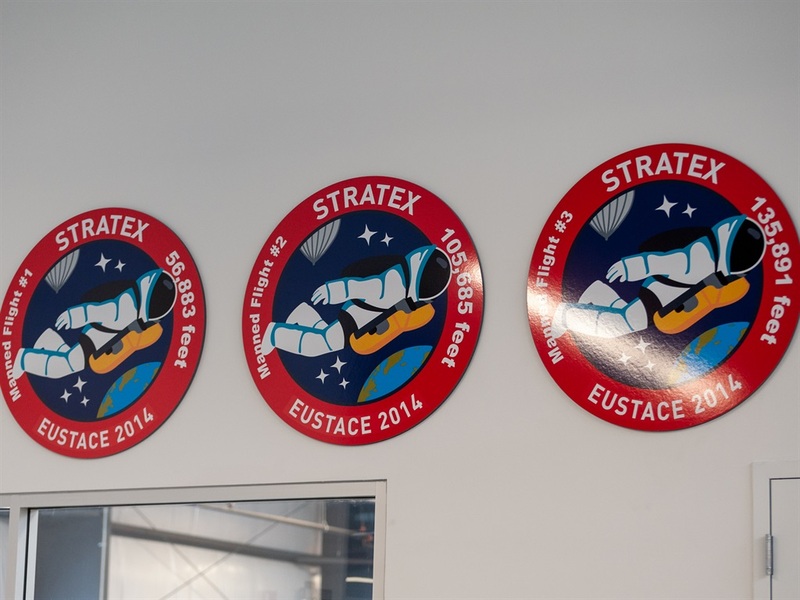 There's also a series of patches for the world-record-breaking StratEx programme. The defence industry is very interested in World View. Such missions are classified, but it's not hard to imagine how the military would use a portable, relatively cheap, easy-to-deploy, and hard-to-detect platform that can be loaded up with electronics, hover over a spot for weeks or months at a time, and autonomously fly back to a base. 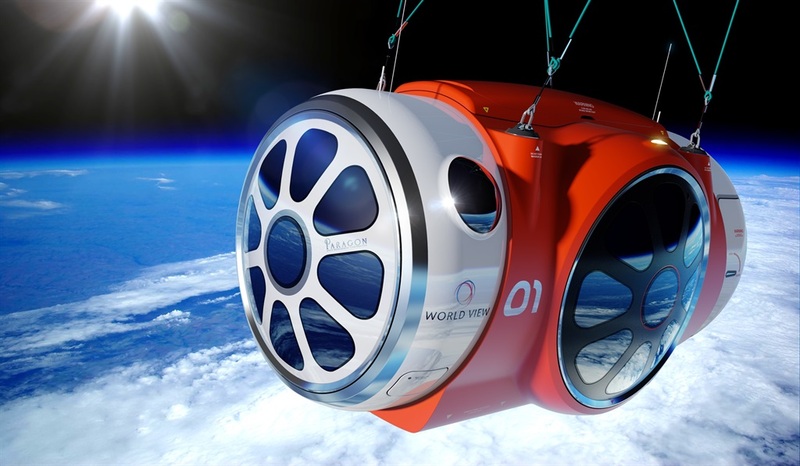 World View plans to eventually leverage its research and development on the Stratollite to become a high-altitude tourism company. 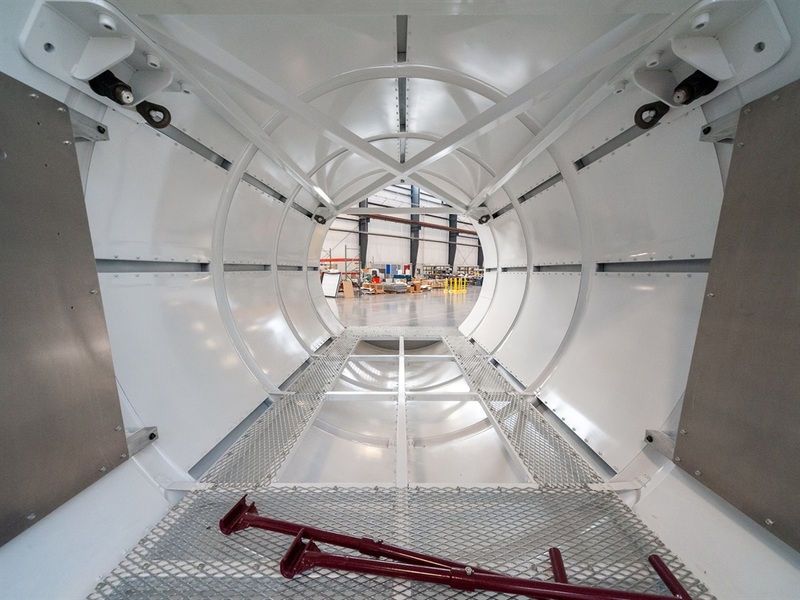 It has even crafted designs for a stratospheric flight capsule, called the Voyager. 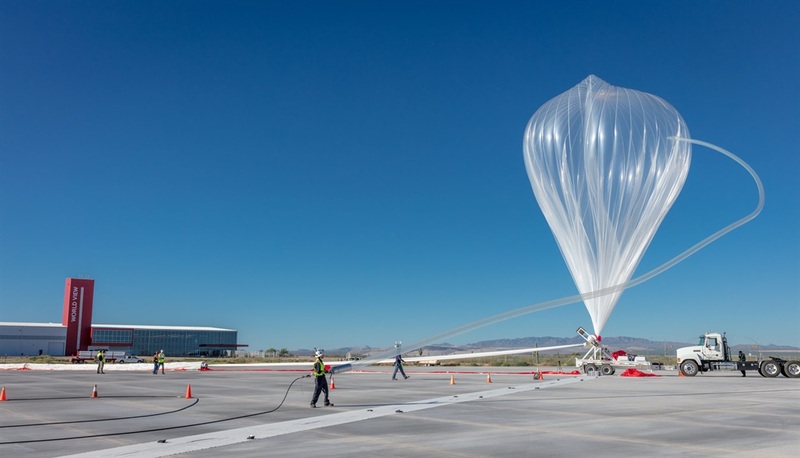 The Voyager vessel will be pressurised, weigh about 4,000kg, and take its passengers on a roughly five-hour-long journey up the stratosphere and back down to Earth. Giant window panels will give strato-tourists a crystal-clear view of Earth, space, and the stars. Voyager will have eight seats total: six for passengers (at $75,000-$100,000 each), one for Garan (who will pilot the craft), and another for a co-pilot (or other World View employee). 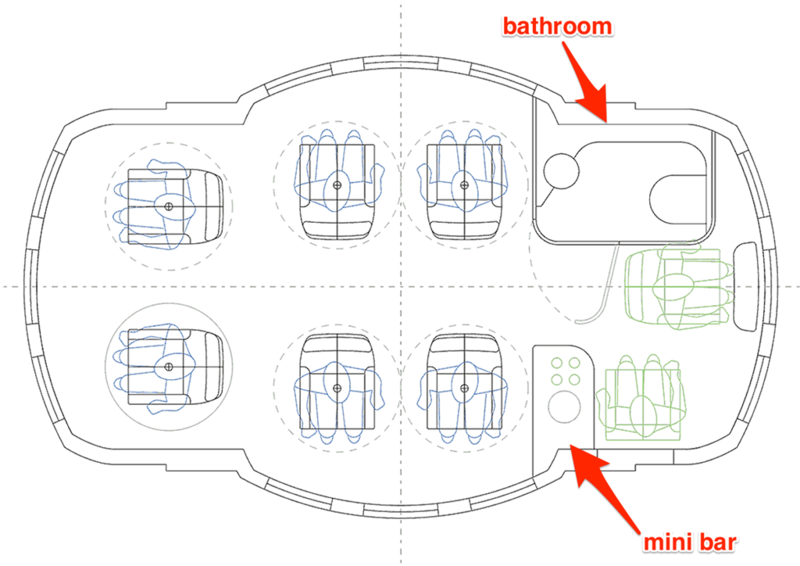 There will also be a bathroom and a mini-bar. World View has already built and launched a 10% scale model of Voyager as a proof-of-concept. 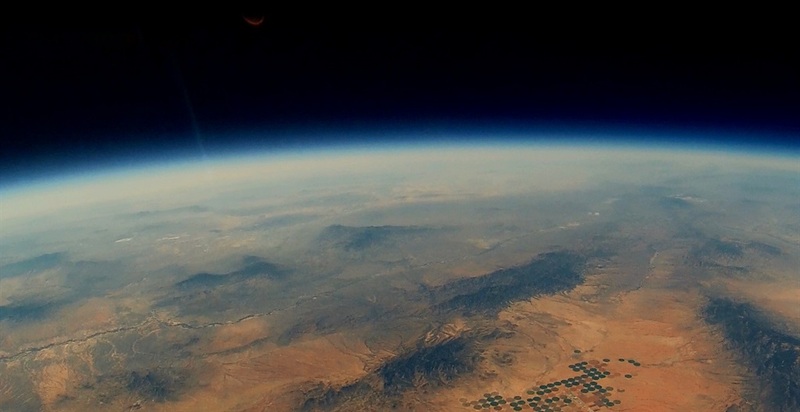 Called Vanguard, the refrigerator-size capsule successfully ascended to the stratosphere in October 2015. World View also built a full-scale weight simulator of the Voyager for eventual test flights on balloons. ...And launching toward the stratosphere with an astronaut as your pilot. Antonio says "there's no immediate Voyager test flight on the horizon" but that World View considers "every Stratollite mission to be critical to the Voyager programme." 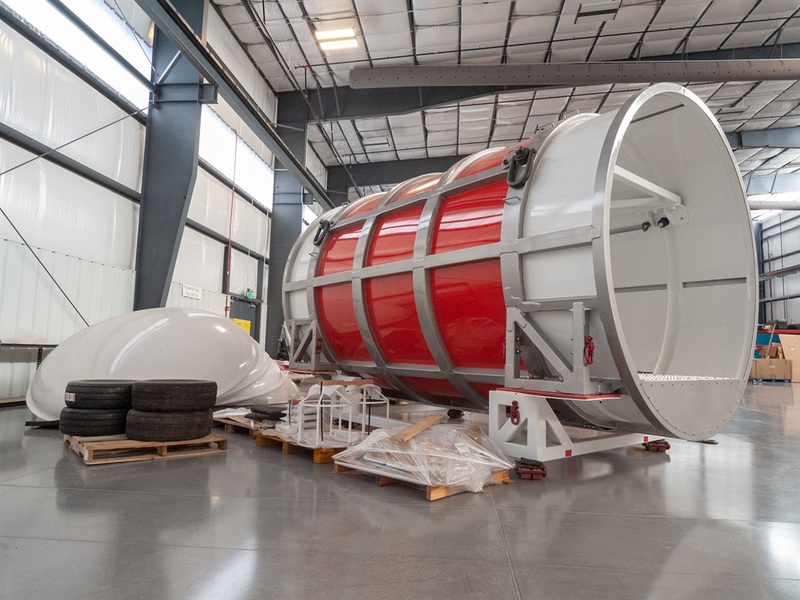 When the first flight capsules are finally ready to launch, the company plans to give a few tickets away to teachers, students, artists, and others who break the traditional mould. "To date we've sent pilots and engineers and scientists to space. What happens when you send musicians and poets and artists?" Garan said. "How much better will they be at communicating this amazing planet that we live on?"